Jiha Moon investigates cultural identity and understanding through enigmatic paintings in which art historical references, pop culture symbols, and traditional folk art imagery commingle. She is fascinated by linking and cross-referencing societal idiosyncrasies and exposing underlying motifs across many peoples and places. 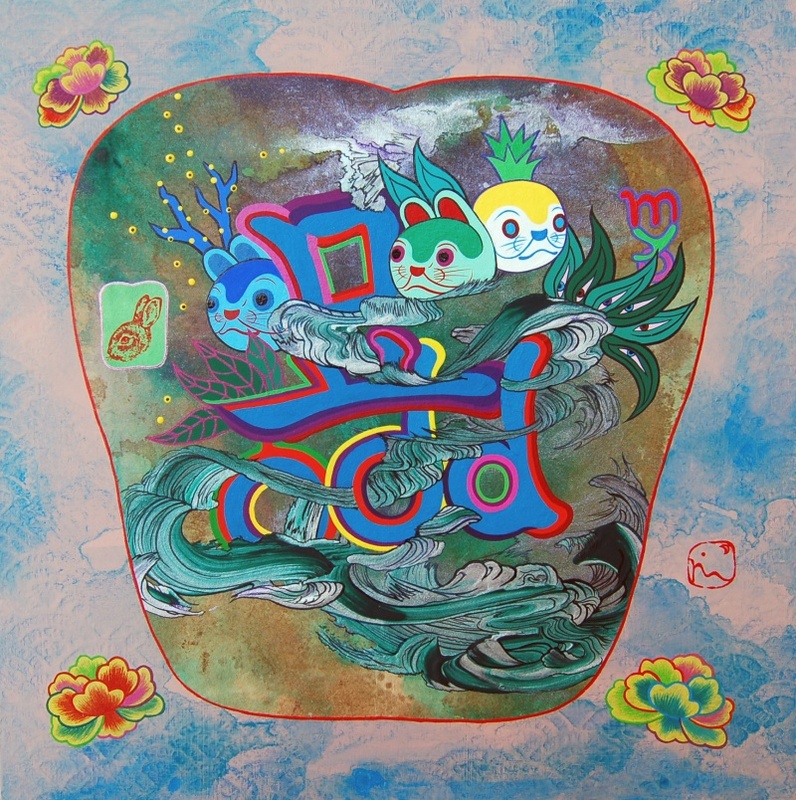 Moon’s paintings affect a polyglot visual language that ranges high and low, traditional and contemporary, East and West. She is an adept choreographer of diverse influences: traditional Japanese woodblocks, the Chinese landscape painter Tao Chi, national flags, women’s art (embroidery and weaving), Renaissance etchings, Korean folk art, and Pennsylvania Dutch iconography. 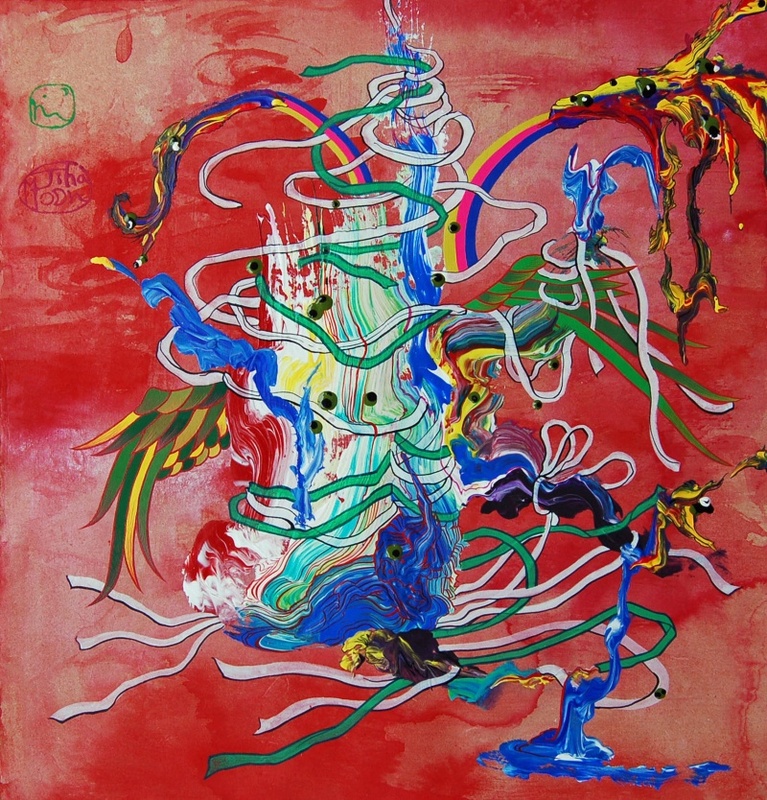 Moon states, “I want my works to appear to be lighthearted, breezy and funny. Yet, beneath the surface, they are teeming with ideas, full of old and new, fast and slow, spontaneous and deliberate. I want my work to symbolize the diversity and identity of the various worlds we live in. 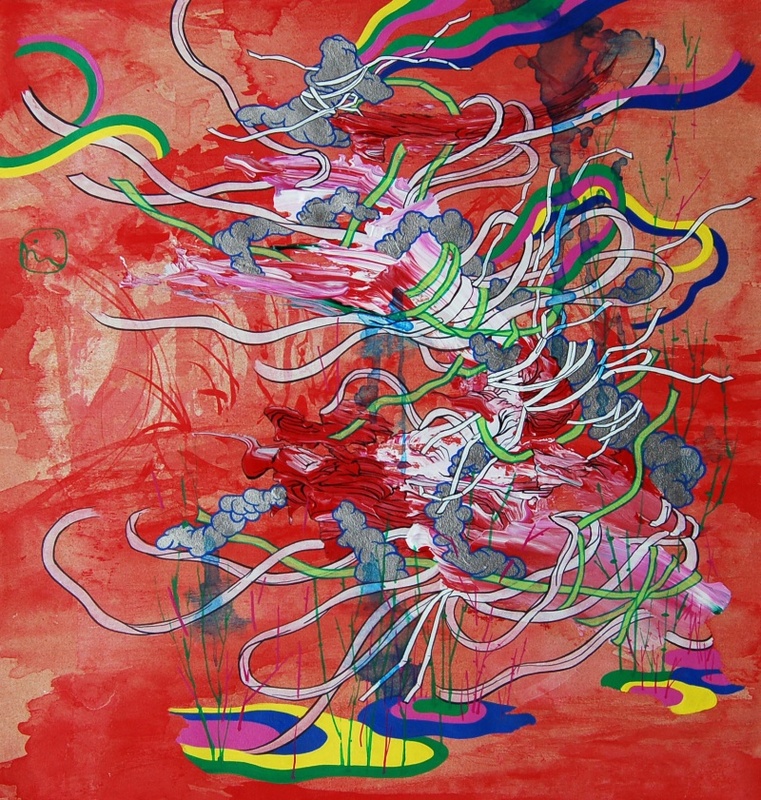 I want to be a visual interpreter of the mixed-cultural world of my generation.” Originally from South Korea, Moon currently lives and works in Atlanta, Georgia. She received her Bachelor of Fine Arts from Korea University, Seoul, a Master of Fine Arts from Ewha University, Seoul, an Master of Arts and Master of Fine Arts from the University of Iowa (1996, 1999, 2001 and 2002). She has exhibited at Weatherspoon Museum of Art, University of North Carolina; Fabric Workshop and Museum, Philadelphia, PA Virginia Museum of Fine Arts, Richmond, VA Hirshhorn Museum and Sculpture Garden, Washington, DC; Museum of Contemporary Art of Georgia, Arario Gallery, Sarubia Project, both Seoul, Korea; Mint Museum, Charlotte, NC; and Miki Wick Kim Contemporary Art, Zurich, Switzerland, among others. She is the recipient of numerous awards including the MOCA-GA Working Artist Project (2012-13), the Joan Mitchell Foundation Grant (2011), a residency at the Fabric Workshop and Museum in Philadelphia (2009-2010), and a Virginia Center for the Creative Arts residency (2002).